Upon my recent visit to Italy for my wedding, we spent three days of our honeymoon at the French Riviera, or as the Italians says La Costa Azzurra. This was my first visit there so needless to say there was a lot to see in such a short period of time. One of the days we spent in Monaco, more specifically Monte Carlo, which was definitely one of the richest places in the world. Between the jewelry, clothes, cars and boats it was astonishing to see how some people live. One of the interesting things that we came upon in front of the Monte Carlo Casino was circular display called “150 vins”. It's a celebration of 150 years of the Monte Carlo SBM (Societe des Bains de Mer), which is a public company that runs some of the big establishments in Monaco like the Monte Carlo Casino and the Hotel de Paris. This event started June 22nd for 150 days where the Hotel de Paris brings up 150 Grand Cru Bordeauxs from their cellars for tastings by the glass. 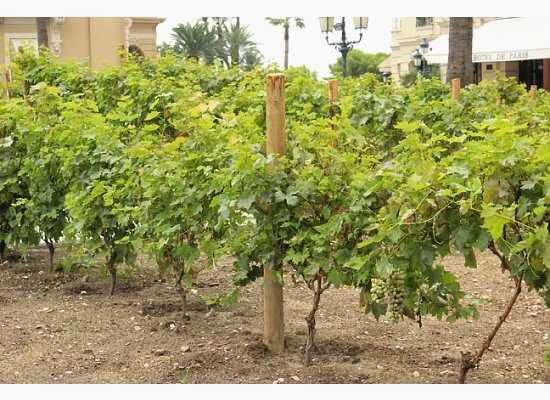 The wine cellar of the Hotel de Paris is personally funded by Marie Blanc, whose husband created the SBM back in 1863. This wine cellar is now to become the largest wine cellar in the world with over 350,000 bottles and is about 16,145 square feet. It was pretty neat that right in the center of the roundabout between the Monte Carlo Casino and the Hotel de Paris they had a circular display of all baby vines that were actually growing grapes to celebrate this event. 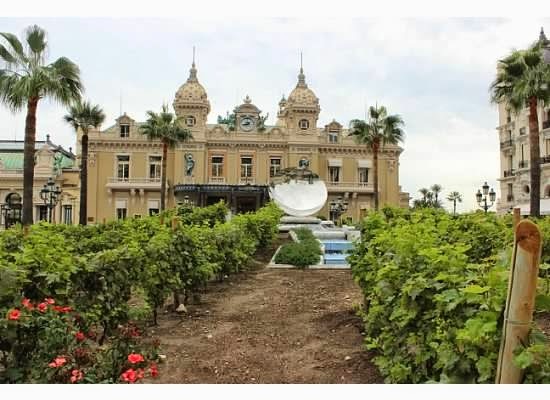 Unfortunately while we were in France we didn't travel to visit any wine regions since there were so many amazing places to see like Nice, Monte Carlo and Cannes. There is always tomorrow! Brunello di Montalcino, the king wine of tuscany!